2015 Designer Mystery BOM-Fat Quarter Shop!!! 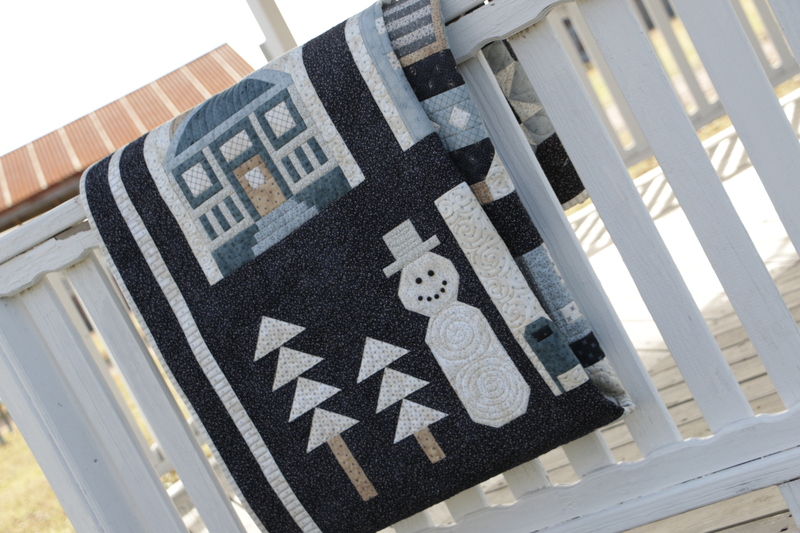 I am very excited to share with you the 2015 Designer Mystery Block of the Month that Fat Quarter Shop is running….I have participated in previous years but this year is pretty special…The quilt is made using my next fabric line…Snowman Gatherings 2 due out in quilt shops in May. SG2 has a few new colors…grey and light powder blue!! along with the same navy, creams, tans and medium blues…so its a great line like the first one with an updated twist with some new colors that will blend right along with the previous ones!! 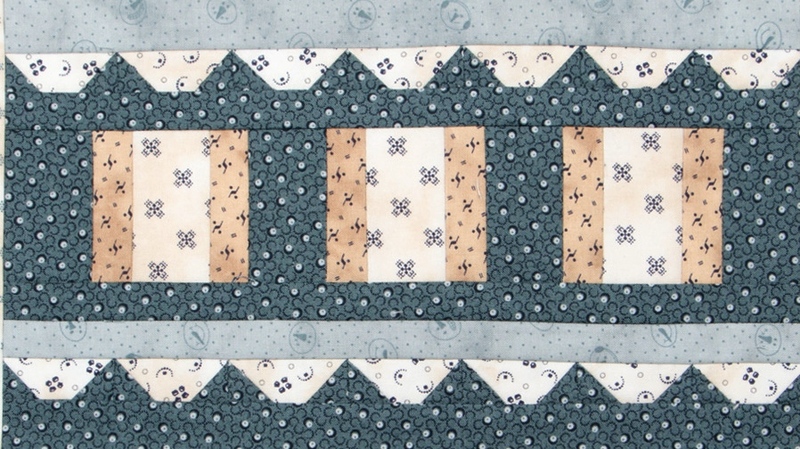 How fun is this not only to be asked to do a block this year…but to use my fabrics!!! Super cool…over-the-top! 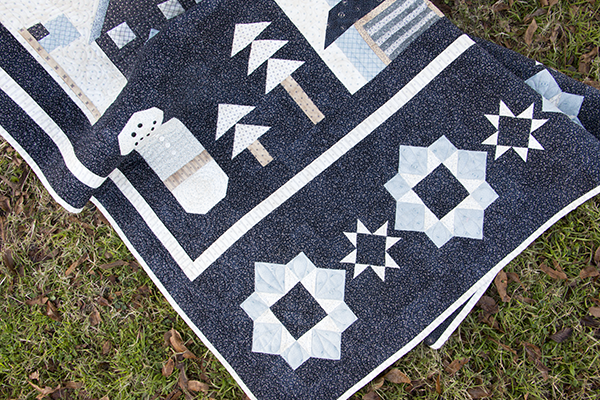 Here are some more photos of this quilt…without showing you the whole thing!!! One of the questions we are supposed to talk about was…what is our favorite place in the world…Mine is actually HOME…but I know that is not very exciting for you as it is for me…but besides HOME…I spent some time after Chrismas in Jamaica this year…Nick and I ran away from it all and relaxed and had a blast…One of the things we did was visit..Rick’s Cafe…in Negril…home of cliff diving….I have to say the minute I layed eyes on that cliff..the water…I knew I was jumping! Nick thinks I am crazy, but hey…I can’t help it…I am very adventurous, and I love doing things that are a little dangerous!!! 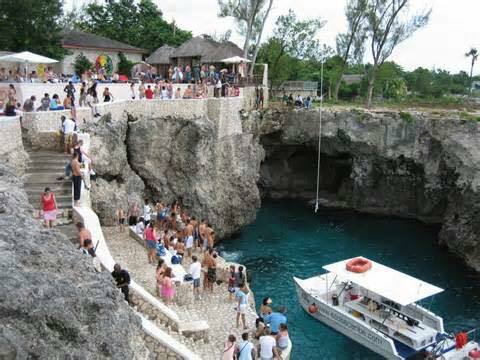 Here is photo of this amazing place…it is also listed at one of the top 10 bars in the world! I know why!!! and it not the alcohol! As I stated earlier this DM was a collaboration from a bunch of cool women who I get the opportunity to be associated with…They are my Moda Sisters…they are very special to me because… they know…you know…they just get it…we get each other…we are not the same…we are all totally different…be we all have that something in common…we know each other pretty well with only spending a little time with each other a couple of times a year. 12. Fig Tree Quilts Here is a QUIZ you can take to see which block is the most like YOU!!! Again…stop on over to the Fat Quarter Shop to join in the fun! Great posting. Can’t wait to check the BOM out on Fat Quarter shop. Loving your new line too. Congrats on having your fabric chosen for the quilt. Looks like it is a very fun one! Lovely post. 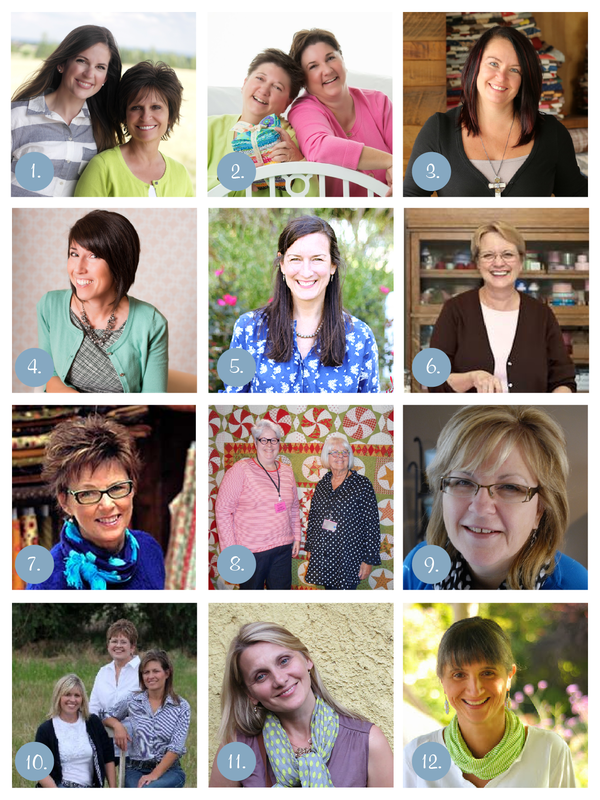 Have already signed up, done the quiz, I’m Quilt Shop block, great. Looking forward to Mystery Quilt 2015. Love that house block!!! There hasn’t been a different “take” on that traditional block and I’m so glad for this one! 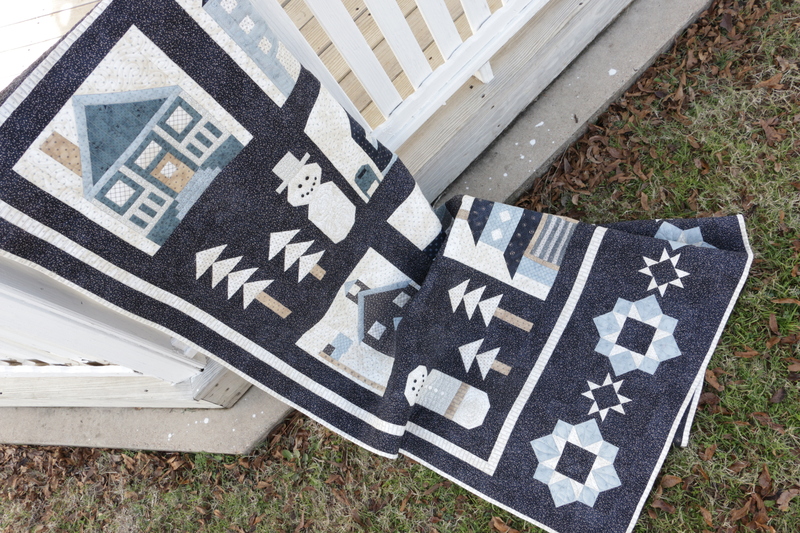 The front porch is the part I love especially…………..a beautiful fabric line and a fab BOM!!!!!! The Mystery Quilt Along is going to be so much fun! And your fabric line is awesome! My favorite place to be is in Alabama with my children and grandchildren. I took the quiz and got Church Quilt Block. I do love your new fabric and it looks wonderful in such a wintry quilt. Perfect name and perfect theme!